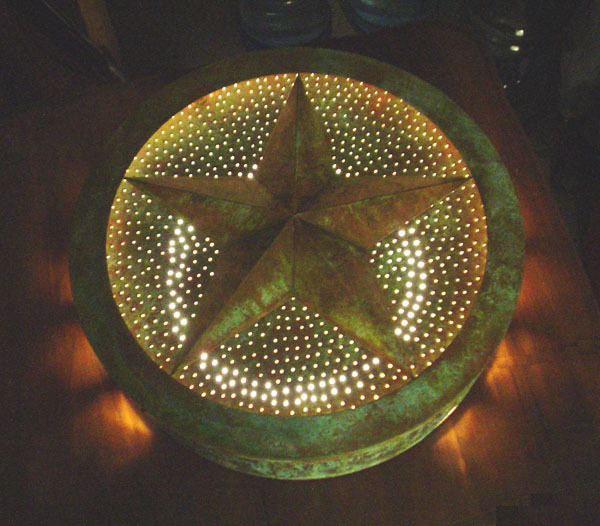 A unique copper wall sconce with a Texas star. Copper finished in a custom verdigris finish. 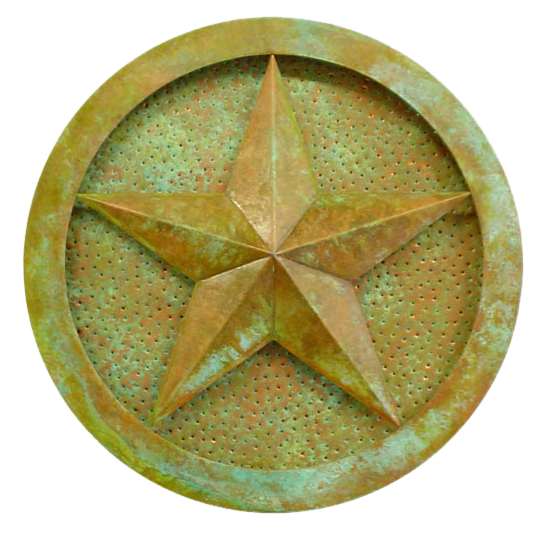 CTWS Farmhouse Star wall sconce hand punched design in copper.